The Waste and Environment Services Team is responsible for the maintenance and improvement of Buloke Shire’s landfills and transfer stations as well as providing residential kerbside garbage and recycling services in all townships within Buloke Shire. Strategies for waste management in Buloke are not developed in isolation. 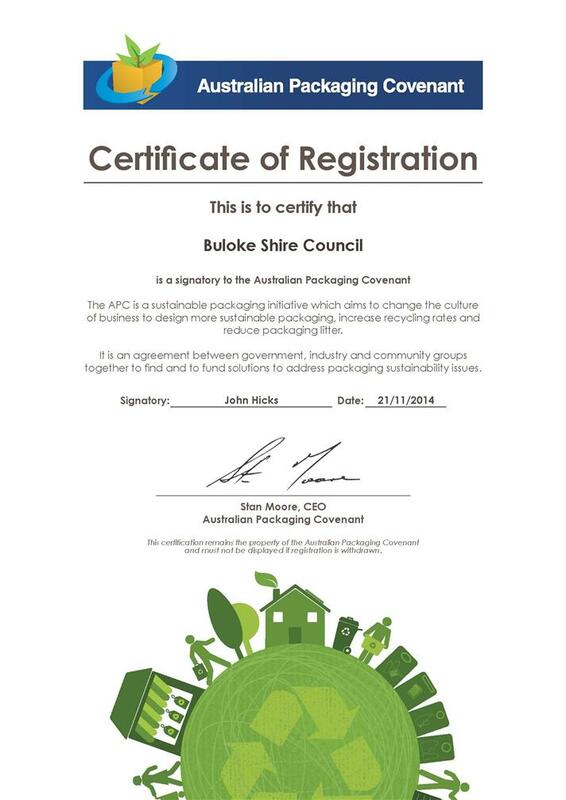 Buloke is a member of the Loddon Mallee Waste and Resource Recovery Group (LMWRRG), together with the municipalities of City of Greater Bendigo, Gannawarra and Loddon and Macedon Ranges Shire Councils, Mildura Rural City Council, Mount Alexander Shire Council, Swan Hill Rural City Councils and Wakool Shire Council (Associate) (NSW). The Loddon Mallee Waste and Resource Recovery Group (LMWRRG) is a statutory body with responsibilities for regional waste management planning and coordination. Planning for waste management in Buloke needs to consider the regional context, as well as Victorian and Commonwealth Government policies and regulations. To find out more, visit the LMWRG website and Kerbside Pride. Waste Collection Schedule 2018-2019 Recycling Collection Calendar. Transfer Station & Landfill operating times Find operating times for all of Council's landfills and transfer stations. Household Waste What can you and can't you place in your garbage bin? Recyclable Products & Materials Residents are encouraged to recycle their rubbish. Get information on what can be recycled. e-Recycling Recycle your unwanted or broken electrical appliances at the landfills and the transfer stations. DrumMuster A National program for the collection and recycling of empty, cleaned, non-returnable farm chemical containers. Get it Sorted + Public Place Recycling Get the most from your Resource Recovery Centres and learn more about Public Place Recycling.